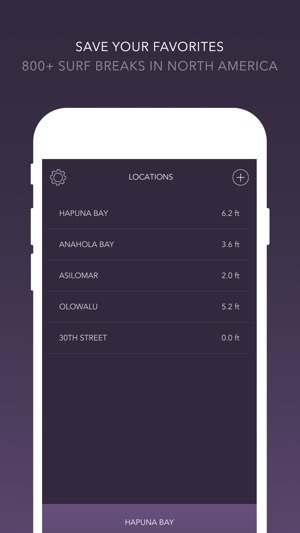 The CRNT App is the first and only surfing app that allows you to check current surf conditions at-a-glance on your on your iPhone or Apple Watch. A clean and attractive interface makes finding the top spots easy and instant. Seamlessly navigate through temperature, wind, and water metrics with just a tap of your finger and swipe through your favorite surf locations. Find the best spots on the beach anywhere in North America, including prime breaks in Hawaii and California. Quickly save the best spots to your Favorites list. Quickly access unbiased real-time conditions from NOAA buoys including: air & water temperature, wave height, period, & direction, wind speed & direction, and tide graphs. Choose the spot with the conditions right for you without having to sift through data-heavy websites. The colors of the app are dynamic based upon the time of day, and the current tide’s rise and fall are represented in an s-curve graph. Wind direction is indicated with a convenient compass feature. CRNT has been featured in Mashable and Wareable as one of the hot new apps to look for on the Apple Watch. This is a great surf forecast app for me, at least. I look for a simplistic design that I can just take a peak at and know everything. This is the perfect app for that. What makes it even better is that it is compatible with Apple Watch. I surf extremely often and being apple to look at the face of my watch and know the surf report without buying an expensive watch built specifically for surfing is a huge plus. However, on Apple Watch, there is a small issue with it updating on the watch face. If you come across this problem you simply need to open the app and it will be fixed. If that does not work, try to reset the watch. If you are just looking for an app for your non-wearable devices, this is without a doubt your best bet. I have tried almost every app out there and nothing can stand a chance against this one. All in all, this app’s simplistic yet accurate design makes it rise above all others. Although, expect small lags on Apple Watch. Most accurate, with one flaw. 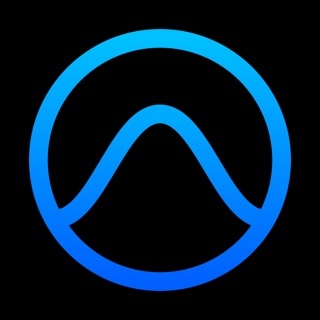 So far this is the most accurate surf app that works with the Watch OS Ive found and Ive tried all of them. Its the closest to Surfline which is by far the most accurate, however Surfline in iPhone OS only. My only complaint is the feature I use it for the most and thats the watch face option. It never seems to display and I love being able to take a quick glance at the conditions. Personally I think if this app wants to prevail the watch face feature needs much better reliability given that it doesn't work 90% of the time. Other than that this app is great! We live about two blocks from the Atlantic so I like this app for a quick way to check the surf as well as the tides if I take the dogs swimming. The only downfall (first world problem, I know) is it hardly EVER shows up on the iWatch. I have turned on location services, reinstalled, reset, sacrificed a goat, and done everything I know to do. It will sometimes decide to appear for a few hours and then return to a dash symbol and when I tap it, I get a message to “add spots to iPhone”...which I have... slightly annoying but I’ll probably keep using it.